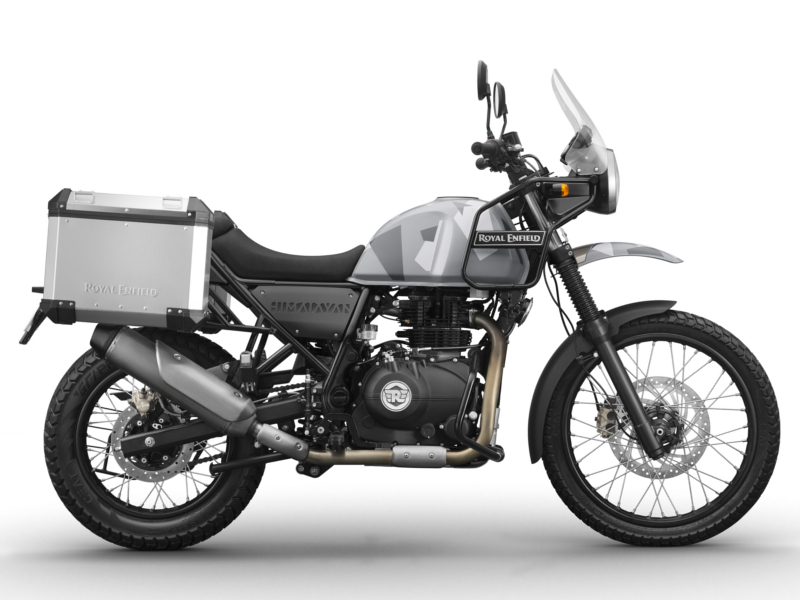 Royal Enfield has launched Himalayan sleet with explorer kit in India. The new Royal Enfield Himalayan Sleet got new body paint and some grey graphics on the petrol tank. Royal Enfield company says that first 500 Himalayan Sleet will come with pre-fitted Explorer Kit, The price of the bike with explorer kit is Rs. 2,12,666 (on-road, Chennai).Other than that there are no changes in technical specs of the Himalayan Sleet.RE Himalayan is considered to as touring bike and this is the only touring bike available in the budget in India.Hope company resolve the issue occur in the previous model of RE Himalayan. Explorer kit contains 2 side panniers which are very helpful during long rides.because it can take all of your luggage with an easy.Other features are same as the older model of RE Himalayan. Royal Enfield Himalayan Sleet has Single Cylinder, 4 strokes, Air-cooled, SOHC, Fuel Injection engine of 411 cc that gives Maximum Power of 24.83 PS @ 6500 rpm and Maximum Torque 32 Nm @ 4250 rpm which is enough for highway and city rides.There is no kick available in RE Himalayan (Self Start Only).Maximum. It has Speed of 130 Kmph.Royal Enfield Himalayan Sleet has 5 speed Gear Box with Wet, Multi-Plate. RE Himalayan Sleet gives around 30 to 35kmpl mileage on the highway and in the city, it gives 25-30 kmpl.Mileage.Mileage of Royal Enfield Himalayan is same as an older model because there are no changes in the engine. RE Himalayan Sleet has Half-Duplex Split Cradle Frame Chassis/Frame which is very agile on road and giving good response during the ride.it has 41 mm Forks, 200 mm Telescopic Front Suspension and 180 mm Monoshock with Linkage at the rear.Monoshock suspension is best for better handling and good ridability. 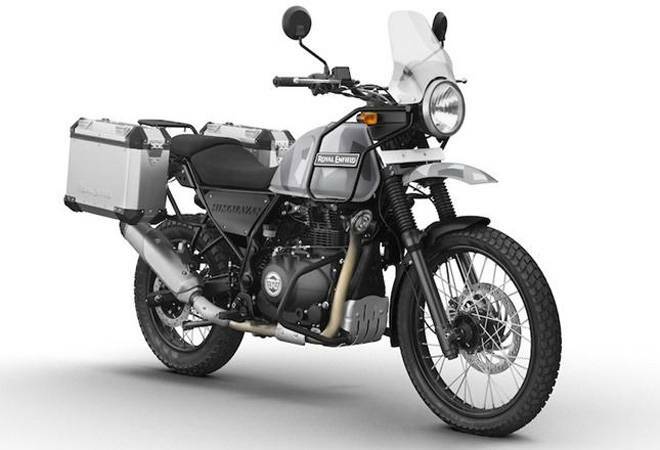 The new Himalayan Sleet comes with two 26 liters panniers,powder-coated finish engine guard and off-road style aluminum handlebar which added strength, handlebar end weights for additional protection to the rider.This explorer kit is really helpfully during long rides. 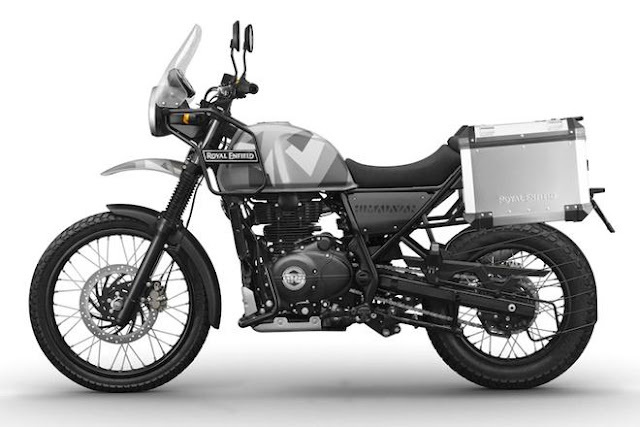 Compared to the older variant of Royal Enfield Himalayan, the Sleet is approximately INR 28,000 more costly. It costs 2,12,666, on-road in Chennai. 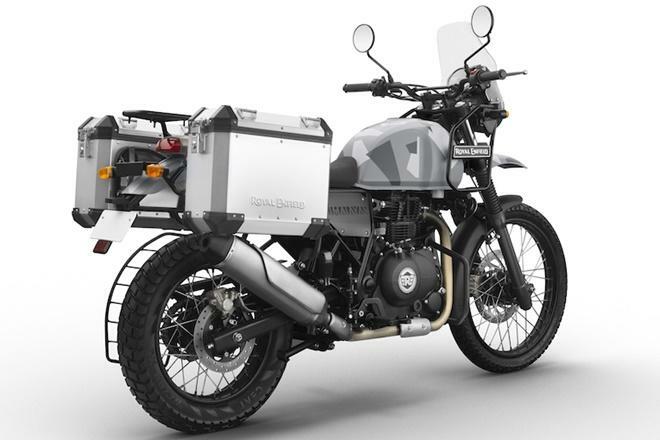 Production of Royal Enfield Himalayan Sleet is limited to 500 models.price could be varied according to states. Himalayan sleet has an acceleration of 0-100 kmph in just 11 seconds and it has a top speed of 130 kmph.RE Himalayan has a good off-road capability.Suspension of RE is Superb and work really well on the bad road.